As consumers, we are constantly faced with multiple companies selling the same product. From cereal to clothing to automobiles, we are faced with colorful designs and characters; but what is it that makes a product easily recognizable? You got it-the logo. A logo tells a consumer which brand they are buying and in some cases, might mean the difference between someone choosing one product over another. In this article, we will explore different types of logos, their benefits, and how to make sure you have the best fit for your business. Before you get started, there are a few types of logos in use today. 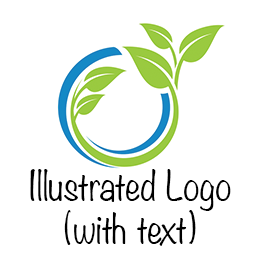 Logos can be font based or text-only, illustrations with text, or strictly illustrated logos. Each type has its own benefits and potential drawbacks; trying multiple logos is a great way to find the right one for you. Font based or text-only logos are exactly what they sound like-your company’s name in your preferred font, with no illustration or additional symbols. There are a few things to consider when designing a text logo. Consider your audience, and your product. If your company has a whimsical name, using a rounded, cartoonish font will compliment your product. If you are marketing your product in a more modern, refined way, a thin, sleek font with crisp edges may be the right fit for you. In either case, try to avoid commonly used fonts like Comic Sans; these can give your logo an amateur feel. Make sure your font is legible. If you are using a clean and simple font, this may not be as much of a concern. Script and other specialty fonts with intricate designs may look appealing, but can be confusing to read if your logo is resized or shrunk. If you are using a cursive or script-style font for your logo, think about adding a simpler font as a secondary logo for small print situations. Think about using a custom font. There are a wide variety of online resources you can use when searching for the right font; you are not obligated to use one of the fonts from your computer’s on board word processor (although that’s fine too!). A custom font puts more choices and control at your fingertips-with hundreds of thousands of fonts in existence, the chances are good that you will find one that you love. You may decide that you’d like a picture or illustration along with your company’s name. 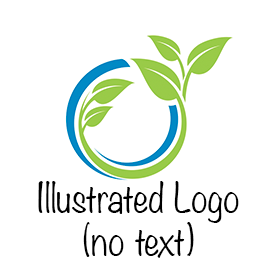 This can be a great way to spice up your logo and add a personal touch; but keep a few things in mind. Relevance is key. 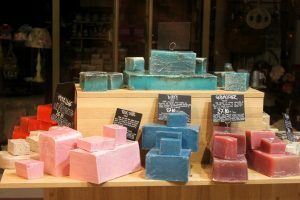 For example, if you make a beautiful handcrafted soap and your product is crafted around goat’s milk, using an illustration of a cute goat is acceptable! People will see your illustration and make assumptions about what your product contains, where the product was made, and depending on the illustration, even what your company’s values are. Make sure that your illustration helps current and potential customers to make a quick, positive connection between your products and your business. Quality is very important. Using a clean, high quality and high resolution picture will make a big difference in the way your print materials look. Keep in mind that your picture or illustration may need to be resized for flyers or branded materials-an illustration that looks great while small, may be pixelated and stretched when resized if the original file is not high resolution. Companies who have made a name for themselves sometimes choose to drop text from their names and retain the illustration only. As with other logo types, there are a few things to consider if you are going this route. Will people recognize you? When it comes to dropping your company’s name from the logo, the biggest consideration is whether or not your company has built up enough of a reputation and a big enough following to ensure that customers do not need to see your company’s name in order to know the product is yours. If you do not have this kind of following and reputation, it may be risky to take your company’s name out of your logo. Change may be difficult. If you decide to change your logo down the road, this may make your brand temporarily unrecognizable, unless your logo is very similar to your previous one. Consider adding your company’s name into your logo at least for a short period to familiarize customers with your new look. Once you have decided what type of logo you’d like to go with, the design process begins! If you are familiar with programs such as Photoshop or Illustrator, designing your logo yourself will be an option. If you are unfamiliar with these programs, that’s ok too. Hiring someone to design a logo for you when you are uncomfortable with using design programs can help to alleviate most, if not all, of the stress that comes with designing the perfect logo. Is this logo unique, or is it too generic to convey my business properly? Too unique, and your logo may not represent your product properly; too generic, and it will get lost in a sea of logos. Strike a balance between intricate and simple. Have I properly tested my design? This means trying it in different colors, on different colors, and on different materials; testing may be extra legwork, but getting your logo right at the starting gate is easier than switching horses mid-race. Design multiple logos. You may fall in love with the first logo you design or have designed for you, but don’t stop there-having multiple logos designed will help you in the case of a trademark infringement or even in different advertising situations. Go through the proper steps to make sure you are not infringing on another company’s trademarked logo; then consider trademarking it yourself. This can be a tricky process, but it is well worth it. Consider speaking to an attorney who specializes in trademarks after your logo is designed. This is another good reason why designing multiple logos is a smart choice; if your first logo is an infringement, you’ll be prepared with another one. This tip is all about protecting you and your brand, and you know what they say; an ounce of prevention is worth a pound of cure. Logo design can be intimidating, but having a unique and eye-catching logo is a great way to provide easy brand recognition to buyers. Your logo has the power to sell your product by reinforcing its quality and your company’s values through visual cues. By following these simple steps, you will be well on your way to the perfect design! Would you like to learn more about trademarking your brand? Robert Lippman, a Principal with the law firm of Lemery Greisler LLC, will be presenting a topic titled “Protecting Your Business Brand” at our 2017 Annual Conference! 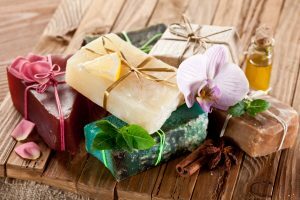 Space is limited, so make sure to visit http://www.soapguild.org/cart/conference/1/registration.php today to reserve your spot.